In the days before Williamsburg was rezoned, the neighborhood’s relatively affordable housing costs made it a mecca for starving artists, musicians and bohemians from all walks of life. However, since the 2005 rezoning, land in Williamsburg is a hot commodity and prices have skyrocketed accordingly. Vacant warehouses and derelict buildings have been transformed into luxury high-rises and condos, rapidly gentrifying the neighborhood and pricing out many of its longtime residents. A massive influx of new residents recently forced the Post Office to create a new zip code in the area to accommodate not only the growing population, but all of the new businesses opening their doors as well. 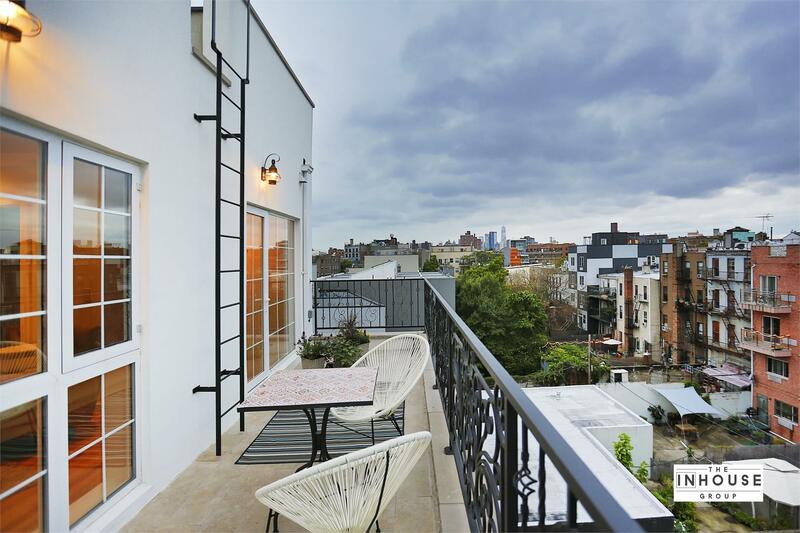 Despite the impending 18-month-long shutdown of the L-train, the primary line which runs from Williamsburg into Manhattan, the neighborhood remains white-hot with buyers. 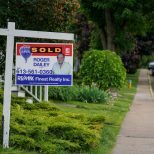 The shutdown has caused a decrease in the average asking price and many buyers are all too eager to buy into the trendy neighborhood at a discount. 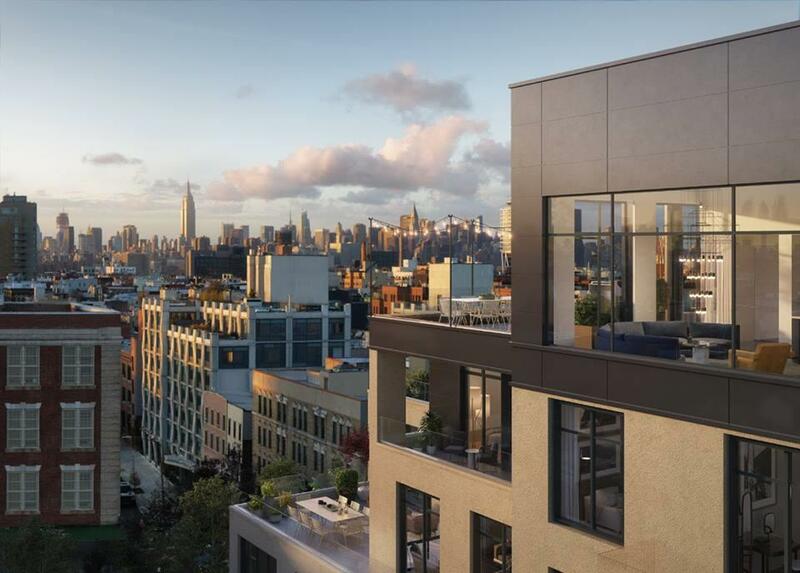 The Williamsburg building boom shows no sign of letting up. 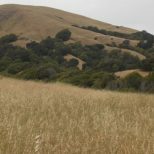 New developments continue to carve out their patch of the neighborhood, reshaping the skyline. 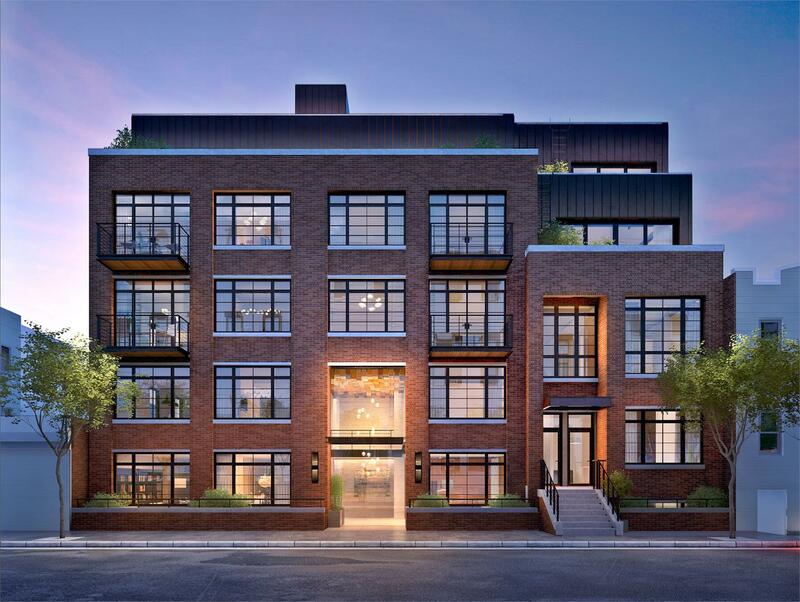 43 Meserole Street was built by The Pros Developments, and designed by City Building NY Architect. 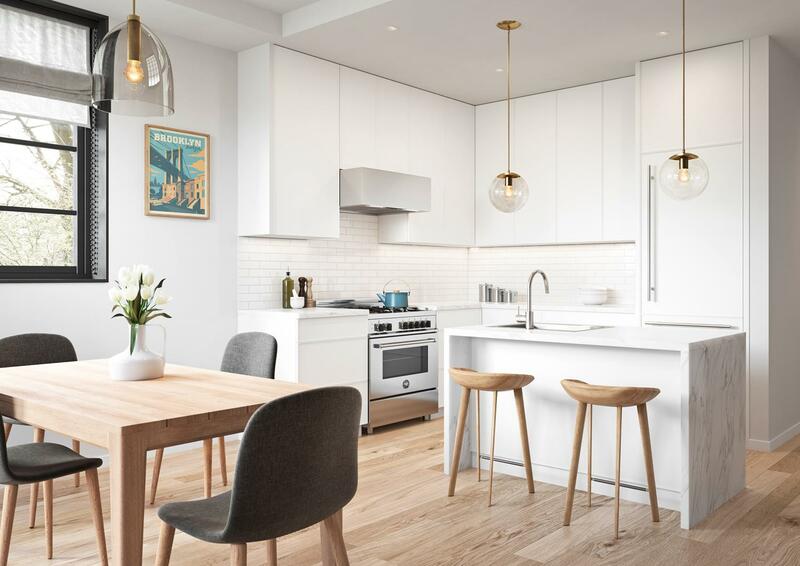 The boutique building houses a mix of eight beautifully modern and spacious residences in one- to two-bedroom floorplans, including three stunning duplex units. 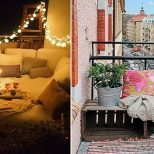 Some residences also include private outdoor space, such as an outdoor kitchen or terrace with more than enough space for table seating. 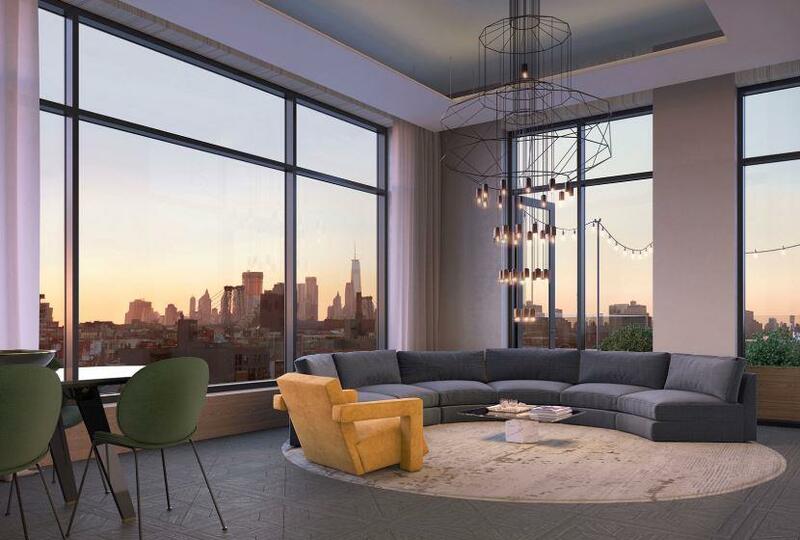 The residences at 43 Meserole have many exquisite design features that homebuyers are sure to love, including high ceilings, a washer and dryer in every unit, built-out closets for extra storage space, and vintage-style bathrooms with wet rooms and cast iron clawfoot tubs. Pricing for available units starts at $759,000. 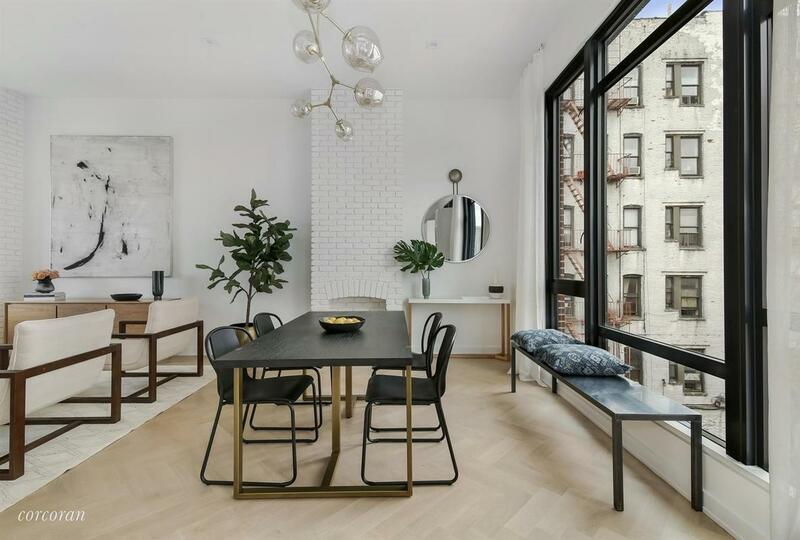 147 Hope Street was designed by Alexander Compagno Architecture + Design and houses a total of 38 units in three styles — normal, penthouse and townhouse. It was built by Blue Zees Real Estate LLC, and units range in size from 614 square feet to 2,118 square feet. 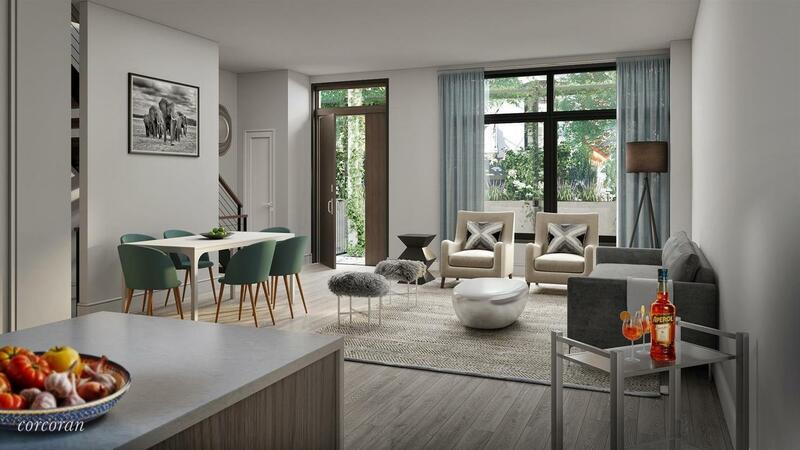 The sprawling triplex townhouse-style units range from 2,043 square feet to 2,478 square feet, with private street entrances, large outdoor spaces and numerous living areas. Units feature multiple exposures, soaring windows, balconies with glass railings, as well as open stairwells. Amenities include: a fitness room, package center, available on-site parking (for a fee), bicycle storage and a children’s playroom. Pricing for available units starts at $699,000. 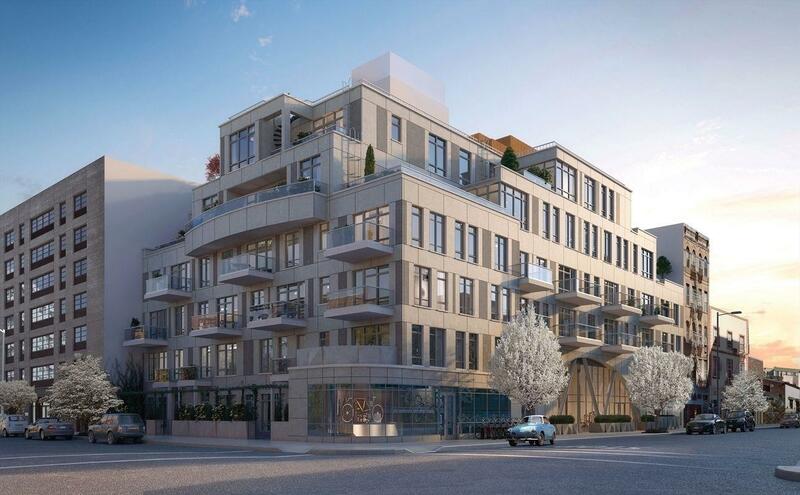 Developed by Minrav Development, 21 Powers Street will bring 14 new condos to the East Williamsburg section of Brooklyn by spring of next year. Units range in size from 667 square feet to 1,065 square feet in one- to two-bedroom floorplans. The building was designed by Meshberg Group and Grasso-Menziuso Architects, with interiors by GE-T Architects. 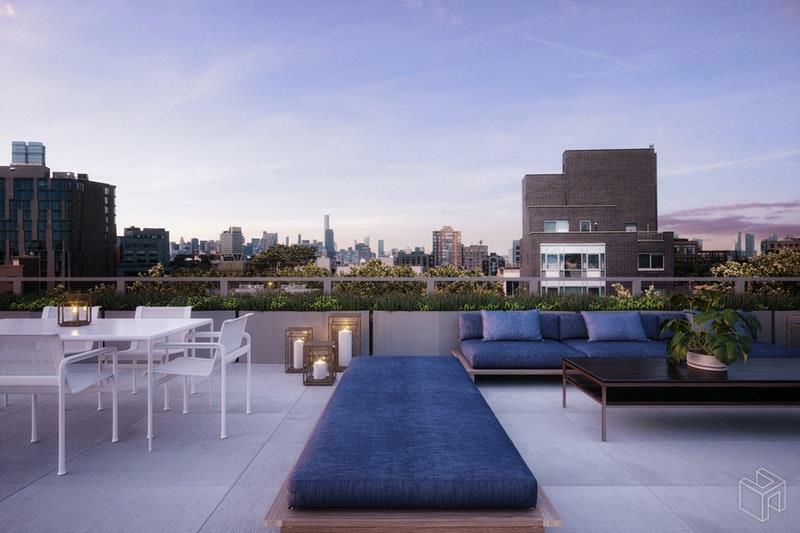 Amenities include: on-site parking, a rooftop terrace and private storage. Pricing for available units starts at $779,000. 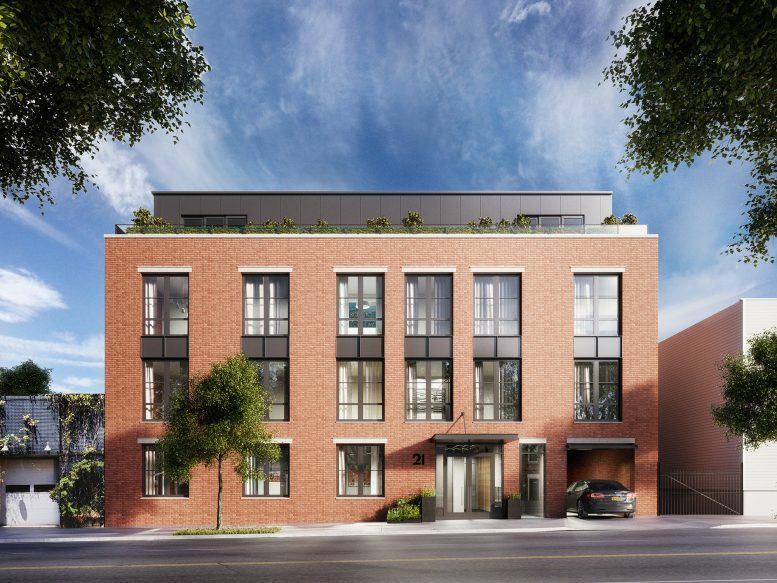 Developed by SL Development, The Lorimer is located at 537 Lorimer Street. It houses a total of 10 modern units, starting at 1,402 square feet in one- to three-bedroom open floorplans. It was designed by RG Architecture. Amenities include: cold storage, package room, virtual doorman and shared rooftop deck. Pricing for available units starts at $1.2 million. 321 Manhattan Avenue was developed by SL Development and houses two spacious townhouse-style residences, each with private outdoor space. 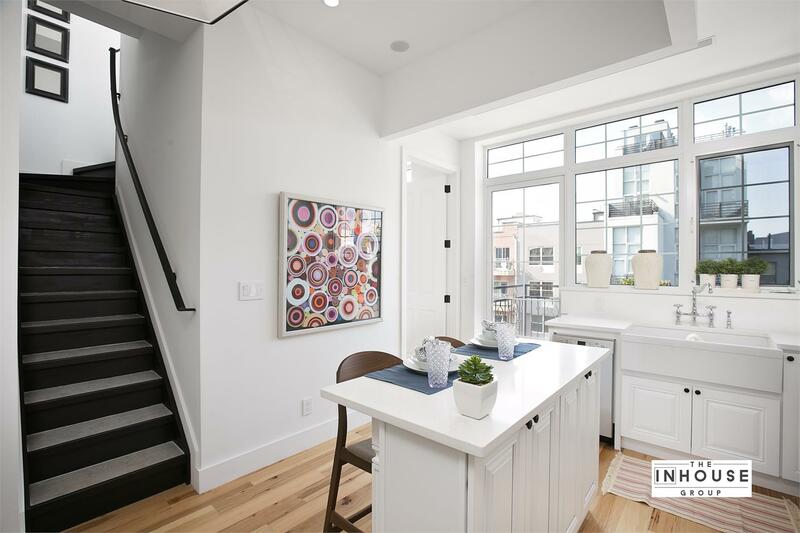 The recently launched two-bedroom, two-bath duplex unit boasts 1,623 square feet of space, including a large roof terrace. 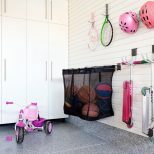 The unit also has walk-in closets, a private vestibule and entryway. 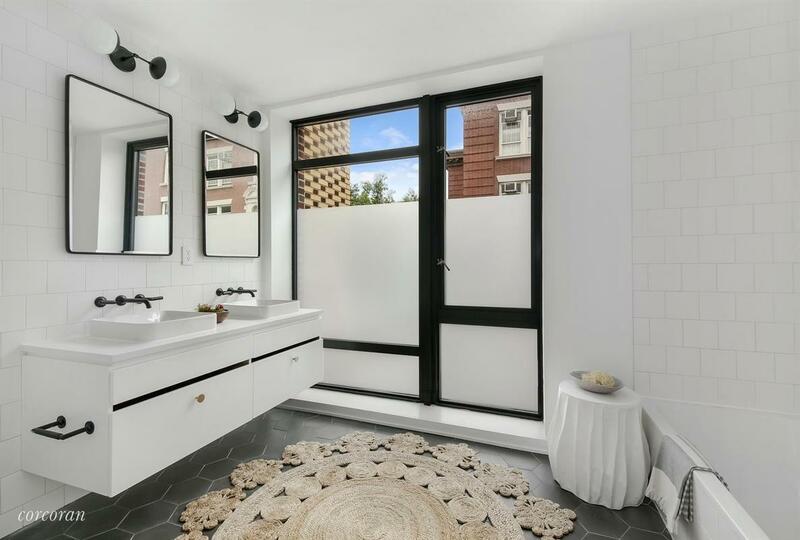 Developed by Adam America Real Estate Development and Naveh Shuster Group, 308 N7 has a total of 45 units that range in size from 683 square feet to 1,529 square feet in one- to three-bedroom floorplans. It was designed by Issac & Stern Architects, with interiors by Paris Forino Design. Units include a full range of high-end appliances, including a Bosch dishwasher. Designer touches include Kohler faucets and Waterworks plumbing fixtures. The residences are open-plan and spacious, with an abundance of natural light. Amenities include: parking, bike storage, private cabanas and rooftop terraces. Pricing for available units starts at $842,000.